From the creator of the awarded Impossible Quiz One, Splapp-me-do, just for your pleasure comes a sequel that will make your eyes bleed of joy and your knowledge and reflexes tested to the limit. :drumroll: If you ask yourself what to do in office while the supervisor is out, if you are a student that makes peace with procrastination or just a regular housewife bored with Facebook news feed, this is the game for you. If you think beating the game without googling for answers is possible, you will often cry yourself to sleep. Or not? Try and see can you beat the odds. In deepest, darkest corners of hell, evil creatures created silly questions to challenge your logic, skills and last but not least – luck. The rules are simple: try and complete the quiz by answering all of the 120 ”questions” in one go with 5 lives at your disposal. There are two Power-ups: Skip and Fusestopper. Skip let’s you jump over a question and there are only 3 of them you can obtain. Fusestopper, three obtainable angry Minion look-likes, defuse the Bombs. Oh, yes, there are also that famous Bombs that will make you enter the rage mode with ease. They tend to show out of nowhere and explode in your face when timer reaches 0. Unpredictable as hell and instant Game Over! Additional innovations include implementing keyboard use at some questions and TAB restriction message if you try to cheat (in first part you could use TAB key for highlighting right answer, scammer). Also one of the new features is a grade system that will show how good you are through the game. You basically use mouse most of the time. On some occasions you ‘ll need to use keyboard and hit the fitting letter. Friendly advice: THINK OUTSIDE THE BOX! When I first came across apple shooter my first thought was “sweet” what a fun way to spend a few minutes. The game isn’t overly addicting, but is great for if your just wanting to kill some time, kill a man, or kill a vegetable. The scene in apple shooter takes place in a late night medieval looking kinda field. You the archer, and the NPC the inevitable sufferer of “arrow in the face” syndrome. Starting apple shooter you maybe a little surprised at how easy it is to split the apple, but keep playing, as you move further and further away from the target the apple becomes smaller, and smaller and smaller. You get the point. Eventually you’ll find yourself having to focus more and more, making sure your precision is just a little better than the previous shot, then release and the moment of truth awaits! Apple Shooter, made by Wolf Games, takes the classic tale of a man shooting an apple from another man’s head and makes it into a simple and fun flash game. You are the bowman and you choose the power and angle at which you would like to shoot the arrow. There is no penalty for missing except for an arrow stuck into the wall, reminding you of your miss. A level is complete when you shoot the apple. If you hit the guy with the arrow, you lose the game and have to start back from level one. 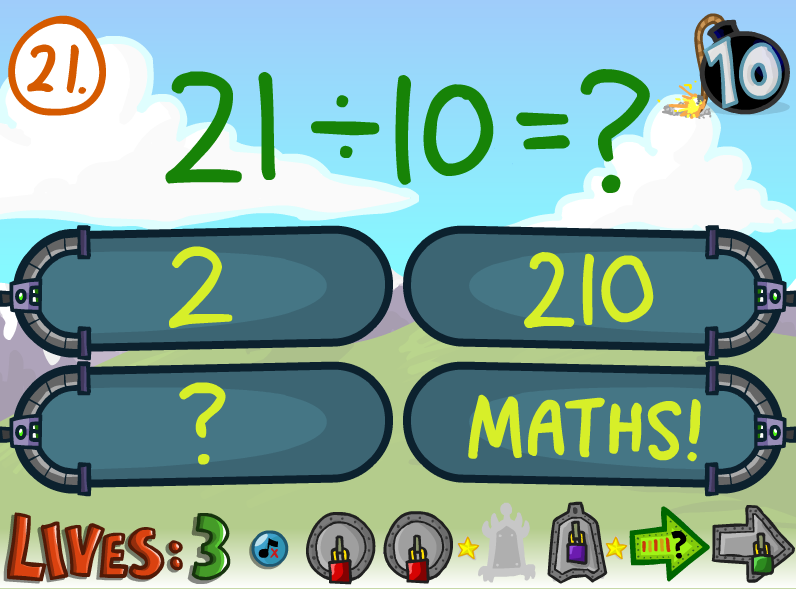 The game lets on the impression that there is an unlimited number of levels. However, level 16 is impossible to complete. Even if you put the angle as close to 45 as possible, which should give you the greatest distance, and put the power on maximum, the arrow will not make it far enough. I also want to add that sure this game is awesome and interesting, but Happy Wheels is still far more better and you should definitely try it. The game is both humorous and morbid in the death of the guy. When you shoot the guy with the arrow, there is a graphical display of the guy bleeding. There are over 4 different ways the guy can die, all depending on where the arrow was shot. Another bug in the game is when you put the mouse behind the bowman. The trajectory will show the arrow going forward but when you let go you in fact see the arrow going in the opposite direction. I would rate this game a 6/10. The game is addictive and you may just spend an hour shooting the actual guy. Passing the levels is fun and losing is upsetting as you have to start from the beginning. Out of frustration, you may just end up closing the game and opening it back up in a few hours to give it another go. Getting to level 16 takes about 5 minutes of perfect shooting. You get the biggest upset when you realize that level 16 is the last level and there is no real end. There are also a few side touches id like to point out about the apple shooter. Sometimes when lining up a long distance shot a little flatulence audio slips in which amused me. For a flash game you get a decent feel for the distance as you move further and further away. 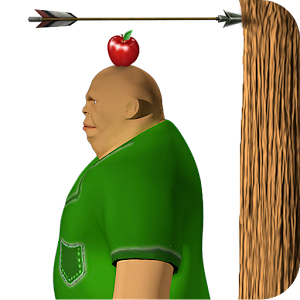 Another entertaining factor about apple shooter can be found just by simply ignoring the apple and using the man as your pin cushion, the physics are mediocre enough to have a little fun, there are also some default actions if you shoot him in the right places! All in all, apple shooter is definitely worth giving a try, who doesn’t want to shoot an apple off a mans head? If those people exist I don’t want to know them. As well as you could try another Wolf games project Gunblood at gunbloodunblocked.space . Unblocked Super Smash Flash 2 is a free game developed by SSF2 Developer Group led by Cleod9 of Cleod9 Productions and Published by McLeodGaming. It is a reboot of the fan game, Super Smash Flash. It combines favorite characters from the world of video games and comic books with a perfect animation. 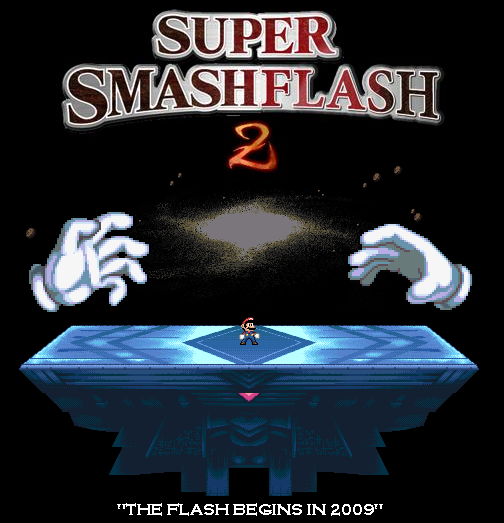 It is loosely based on the Super Smash Flash Bros series and game by featuring its many characters. The game includes a lot of content that has appeared in any series seen on a Nintendo console. This allows the roster to access third and fourth party characters like Lloyd, Ichigo, Mega Man and Goku. The Unblocked Super Smash Flash 2 is an excellent retro game since you fight with familiar characters from various series. Each fighter has his own unique abilities to win the clash. All you have to do is select your own character and start the dynamic battle. The game has at least thirty three characters including Cloud, Kirby, Captain Falcon, Mario, Bowser and F-Zero among others. The ultimate goal of this game is to knock out your opponents. The game is designed in a way that when a character is attacked the damage accumulates and the percentage knockout value increases. The fighting takes place on colorful arenas with excellent soundtracks. The game includes improved camera systems that follow each player on action. The game has also included new modifiers like Mini, Turbo and Slow which are applied on specific matches. While playing, try to kill as many enemies as possible to achieve new levels. You can move through levels by right clicking anywhere on the screen followed by settings tab then right click and play. The game has four modes; Adventure, Classic, All-Star modes and Training mode. Jumping through levels in adventure mode is only possible after level four. The training mode allows you to collect bonuses. The game supports both single and multiplayer therefore you can play singular, with or against your friends on one computer. The multiplayer mode has been rebooted to allow four player entries. You can also engage in online battles via an app called McLeodGaming Network. The Unblocked Super Smash Flash 2 has excellent pre-set controls. The A, D, S and W keys are used for player 1 movement while the arrow keys move the second player. The O key is used to make special moves like jumping or activating final smash sets. P is used for standard attacks like shock and fire. I key is used for shield while 1 is used for taunting the opponent. However, you can customize your own controls from the menu box. 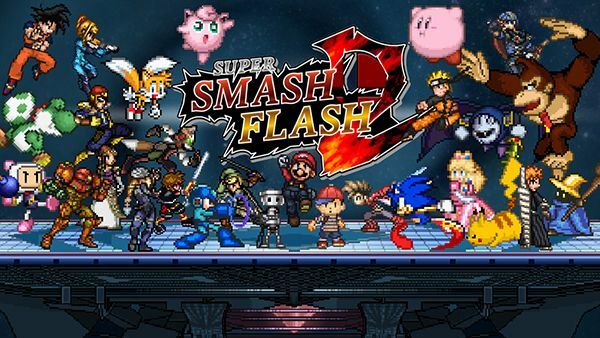 The Unblocked Super Smash Flash 2 allows you to explore the potential of many heroes from a variety of games. You can enjoy the game with your friends and also online with worldwide players. This colorful and technically booted game provides a new gaming experience while guaranteeing hours of fun. Don’t lose the chance to be first at playing ssf2 unblocked. Tank Trouble 3 is an online game that every gamer should probably be looking forward to playing. It is an entertaining game that both adults and children can enjoy. 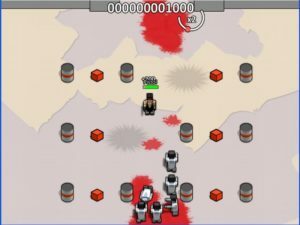 The game is an update of the tank trouble series. Obviously, there have been considerable improvements when compared to the earlier versions of the game. 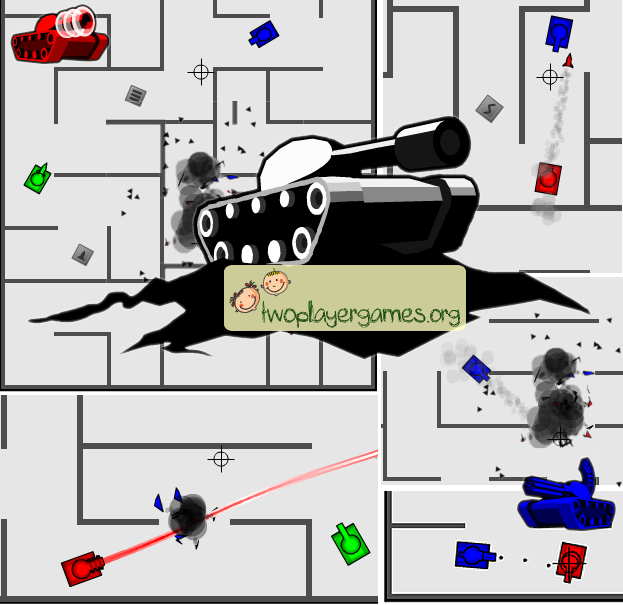 Tank trouble 3 game involves moving a tanker which contains some form of ammunition around mazes. The mazes are walls that will either prevent you from being shot by the enemy or will help you kill your enemy. For instance, if you want to kill your enemy you can use the walls of the maze. The ammunition then bounces back off the maze, and if your enemy is on the wrong end, he/she gets instantly destroyed. During the game, you will notice small icons randomly appearing at different locations. These icons are power-ups. They provide the player with extra ammunition that will help destroy your opponent. Some of this amunition work best from a longer distance while some work best with short distance shooting. One can choose the single player mode or the multiplayer mode. If you are alone in the office, the single player mode will work best for you. In this case, you play against the computer, Laika. Honestly speaking, Laika can be a little bit tough to handle. You need learn to be quick in order to kill him. The multiplayer game mode in Tank trouble 3 allows up to three players. You can either choose the two player or the three player game modes. Your friends become your enemy. In a match of three, referred to as the deathmatch, the winner is the last one alive. Learning this game does not involve a lot. Player 1 simply uses the arrow keys on the keyboard to move your tanker around the maze. To shoot use the letter M.
For the multiplayer game modes, the second player uses w, a, s, and d keys to control direction and q to shoot around. If you choose to include the third actor, he can use the mouse to control his tank and left clicking to shoot. Learn to be quick when dealing with your enemy. Being swift is the most important tool every gamer playng this game. One slow move and you are out. Make good use of your ammunition.You do not want to end up lacking any weapon while in battle. You may end up shooting yourself if you shoot recklessly. Ensure that you aim while shooting. Hey guys! Are you ready for action in your wheels. Go and challenge yourself to see if you can reach the exit alive in HAPPY WHEELS FULL VERSION. 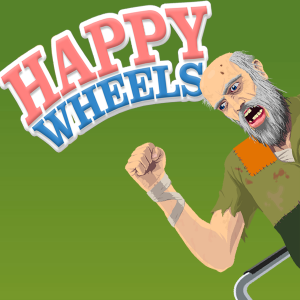 Shake and Make your vehicles go happy with Happy wheels. This is far beyond internet racing or vehicle games. You should be more than happy to play happy wheels. Your main goal is to reach the exit. 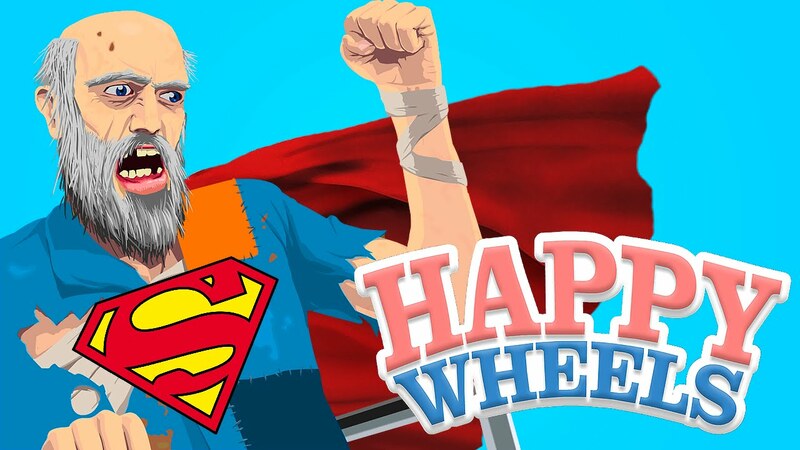 Happy wheels allows players to create custom levels of their own. It contains plethora of tools and objects for level building. You can upload your map to a public server where you are accessible. 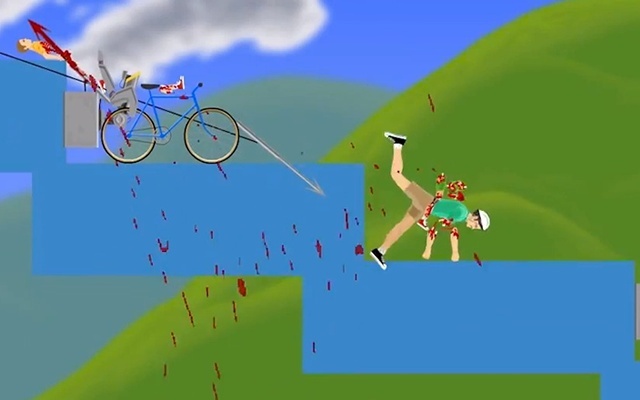 The best part about Happy wheels is that game is best known for its Graphic-Violence. 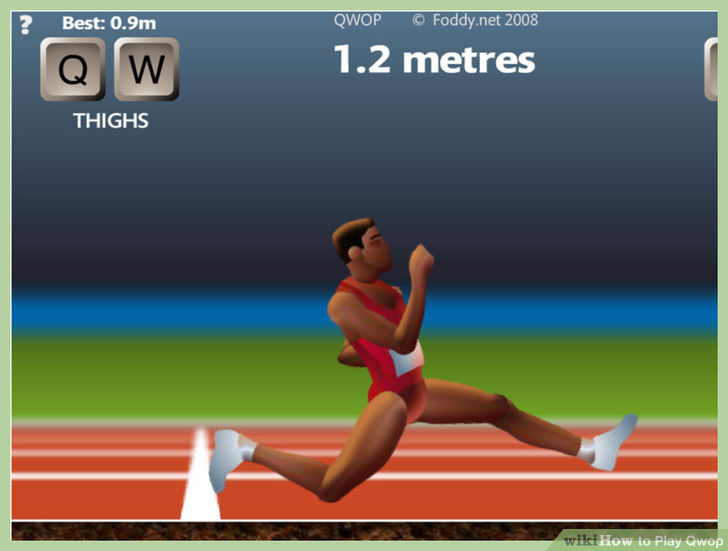 You know I must say that unblocked QWOP also remind me of this flash game, they have so much in common. Choose your vehicle which can be bike, two-wheeler or wheel chair and try to find a way to exit, alive! Make yourself crazy with amusement or torture. Mechanics of the game play vary because of character choice by you and level design. Characters can also eject from their vehicles. Goal in the game differs depending on the level. It is a Platform Game. As I said goal can be different depending on the level. Many levels feature alternate or nonexistent goals for you. You can be shot, or crushed by different obstacles. You have a choice to upload replays of their level attempts, which can be viewed. 3) Press Z to eject. Choose your inadequate prepared racer, and ignore severe consequences in your desperate search for victory. 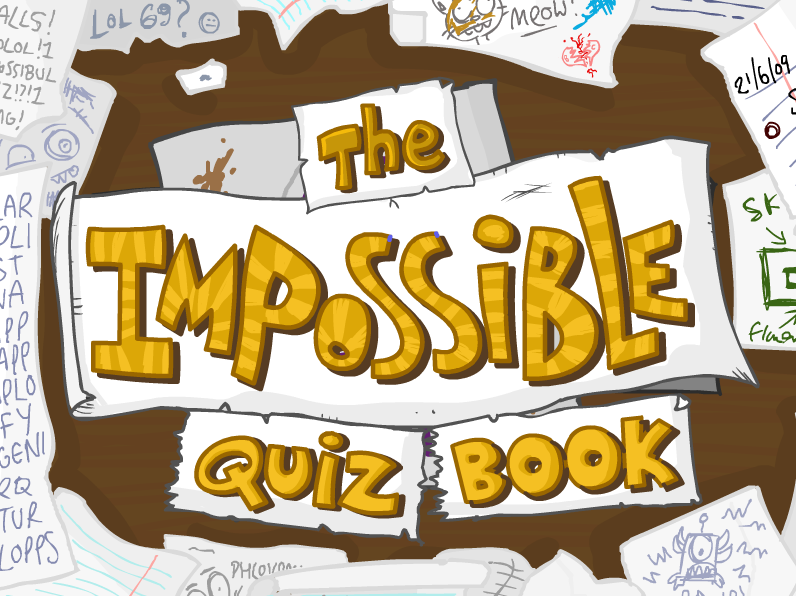 Impossible quiz 3 is a well-known flash game developed by Notdoppler. The game became very famous soon after the release because it changed the entire gaming experience of quiz games. From normal question and answer type quizzes to interactive, fun and hilarious, the game has become a favorite among many gamers. The game is guaranteed to make you smarter than before you started playing the game. The reason why this game will get you hooked is because of the way it is designed. A class apart from normal quiz games, this game has got personality and that’s what makes it go a long way. The objective of the game is simple. You have got five lives and you use it to answer all the questions. Each wrong answer will knock off one life. When you lose all five lives it’s game over and you have to start all over again. So a lot of patience is required to complete the game but don’t worry, the questions are same each time. Unless you don’t make the same mistake, you can easily breeze past the previous questions. The designers are the main reason for the popularity of the game. The game has used the right colours to make it feel bright and attractive. The eye-catching animations along with the emotion evoking sound effects make it one hell of an amazing game. The rules of the game are easy. You have to complete the quiz by answering all the questions which require luck, quick reflexes, mouse skills and insane logic. There are some questions with bombs in it which means that they are timed and must be answered before the timer goes off. You can collect skips to skip a question in case you find it too hard. There are also fuse stoppers which when activated will give you more time during bomb questions. Mouse skills is all that is required to play this game. You have to click the begin button to start the quiz and thereby use the mouse to point and click or drag to answer the questions accordingly. Overall the controls of Impossible quiz 3 are simple and minimalistic. Where To Find Happy Wheels? Many gamers often find themselves confused and wondering about where exactly are they supposed to find Happy Wheels on the internet. 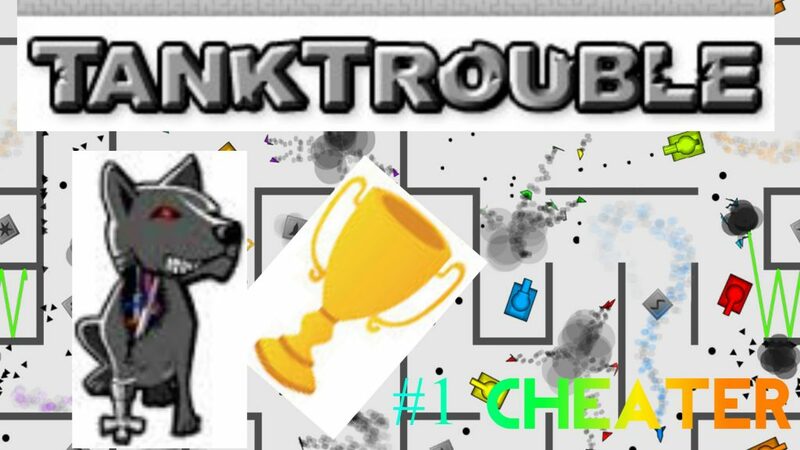 Well, the official website for the game is www.totaljerkface.com. While you may be able to find it elsewhere around, note that this site is the only place you´ll be able to play the full version of the game. In most levels of the game, the objective is to arrive first at the finish line and / or collect tokens along the way. Game mechanics do vary quite a lot, depending on character, vehicle and stage. Overall, significant amounts of graphic violence are to be expected. For this reason, some people may find Happy Wheels demo a controversial and possible slightly disturbing game, especially for the young. The game allows users to make replays of their attempts, as well as design their own custom game stages. This is a rather unique feature. It is good to remember many of the existing stages are indeed user generated, therefore you can always select a different one if you don´t like the one you´re in presently. Also, there are many playing abilities that are unique and exclusive to certain characters. It is recommended you get well acquainted with these before starting. The following are the so-called “action buttons”. These will do different things depending on which character you have selected. For detailed explanations per character, do a quick online search to familiarize yourself with what they do. Also, pressing the letter Z will eject everybody currently inside the vehicle, and the letter C will change the visual perspective from the current one to the other person in the vehicle, whenever there are two characters inside at any given time. So. 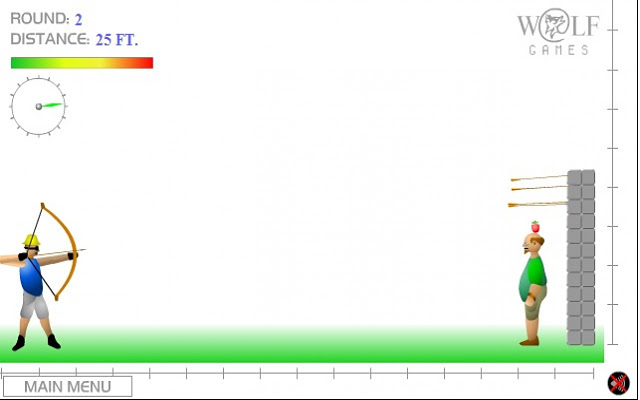 after reviewing the basics about this popular browser game, what can we say about Happy Wheels? I guess it is just one of those (awesome) games you either love or hate. Or maybe, people love TO hate it. Either way, you are never gonna run out of characters, stages and content with this game. One word of advice, though: be aware of what you are getting into. It is an extremely graphic and violent game, so if you´re easily offended by such materials, probably you´d be better off playing something else. That being said… go forth and enjoy Happy Wheels 2! Boxhead Zombies – You’d have to be a boxhead not to play! Boxhead Zombies is a zombie wave attack flash game developed by Crazy Monkey Games. You can play it on their website or download and play offline. If you are fan of shooting games you should try unblocked tank game. The game starts you in the middle of an open field with only a pistol for defense. Your task is to survive waves of zombie attacks from a variety of different types of zombies by earning new weapons and putting up defenses. The Boxhead Zombies world is limited to 6 maps set outdoors. There is a multiplier counter at the top of the screen, and the more successful shots you make, the higher it goes. This is important because higher counter scores will give you new offensive and defensive weapons. You need only your arrow keys to make your character navigate the 2-D map. The Space key fires your weapons. ‘Z’ and ‘X’ are used to scroll up and down your weapon list. To choose a specific weapon, use the number keys 0 to 9. Controls can be set how you like by clicking on the ‘Controls’ header. There are five different ‘species’ of enemy – zombies, runners, mummies, vampires and devils in that order of both danger and difficulty to kill. Each has its own characteristics and weaknesses. Just a tip: The Devil is very appropriately named and your defenses and automatic turrets won’t stay up very long after he turns up. You can set up defensive structures like barricades and crates in the breather period between consecutive waves. It’s worthy to remember that none of these are invincible and larger waves will break through. Starting from a pistol, you work your way up to earn shotguns, mortars, automatic-fire turrets and more. The most fantastic feature, though, has to be the air-strike. Try it – you won’t be disappointed. While the action is fast-paced right from the get-go, it tends to get a bit monotonous once you have seen all the 5 different types of enemy and earned and used all the weapons. Still, until that point, an exciting distraction. The apple shooter game series is one of the most interesting games that people play. It is simple and fast to learn because it brings out all the fun in a game. The game was inspired by a person called Wilhelm Tell who used bows to propel some arrows. It has a number of series. This means that the games are played consecutively after scoring the preceding one. It is funny, addictive and a type of an archery game. This entails shooting some arrows at a point or a target from a set distance with a lot of accuracy.